Our Horse Stalls are completely customizable, for your exact needs. Everything from the length of the grill to the exact custom powder coat, everything is done in-house to ensure your horse stall is exactly what you've been looking for. 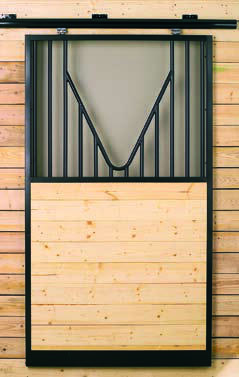 14 Gauge Horse Stall Doors: Available standard with a 1" O.D. galvaneal substrate for maximum protection. All welds are concealed to prevent rust. Standard doors with grills, drop fronts, yoke fronts, solid fronts and mesh are all avaialble. All doors come standard with combination toe kick / bottom guide to allow for hidden stay roller. Colors: All colors we stock are available in stalls with normal lead time. Stall, Gate & Door Latch is available in all powder coat colors to match stalls. 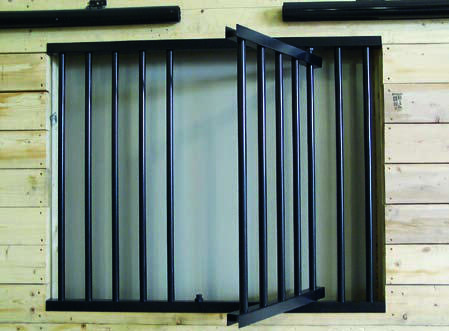 One piece grills up to 144” long are available for stall fronts and partition walls. Grillwork is all galvaneal substrate for maximum protection. All welds are concealed to prevent rust. 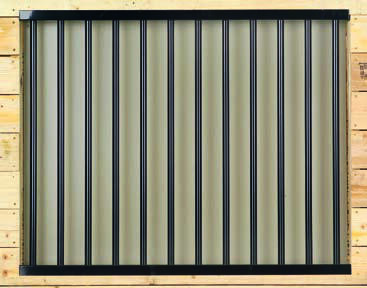 Fronts are available with standard grills, feed openings or swing out feed door options.